1. Adjust oven rack to lower middle position and preheat oven to 350°. Put liners in muffin tin (or spray with nonstick spray). 2. In a large bowl, mix flour, baking powder, baking soda and poppy seeds. Set aside. 3. Cream butter, sugar and orange zest until light and fluffy, about 3 minutes. Add eggs one at a time, mixing well after each. Add orange juice and mix well. I used a hand mixer for this and the next step. 4. Mix in 1/2 c yogurt. Then mix in half of the flour mixture. Repeat until all ingredients are added. Batter will be thick. 5. Fill muffin cups about 3/4 full. Bake for 20-25 minutes. Mine took about 25-30, times will vary depending on your oven. 6. Muffins are done when they are golden brown on top and a toothpick inserted in the center comes out clean. Immediately remove muffins from tin and let them cool slightly. Invert them onto a wire rack and then turn then right side up to avoid burning your fingers! Optional: While muffins are baking, make orange syrup. Add orange juice and sugar to a small saucepan and cook over medium heat until sugar is dissolved and the mixture thickens slightly, about 5 minutes. Use a pastry brush to coat the tops of warm muffins with syrup. I skipped the syrup because I ran out of sugar! This makes a lot of batter. I put one batch of muffins in the oven and realized I had too much batter left over and too little time, so instead of making a couple more batches of muffins, I threw all of the remaining batter into a bread pan (pre-sprayed with PAM for baking) and made a loaf of orange poppy seed muffin bread, which was also delicious! The bread took about 40 minutes. Be careful not to under cook- a toothpick inserted in the center should come out clean and the top of the break will be very golden brown. Test a few places in the center to make double sure, since the middle cooks last. 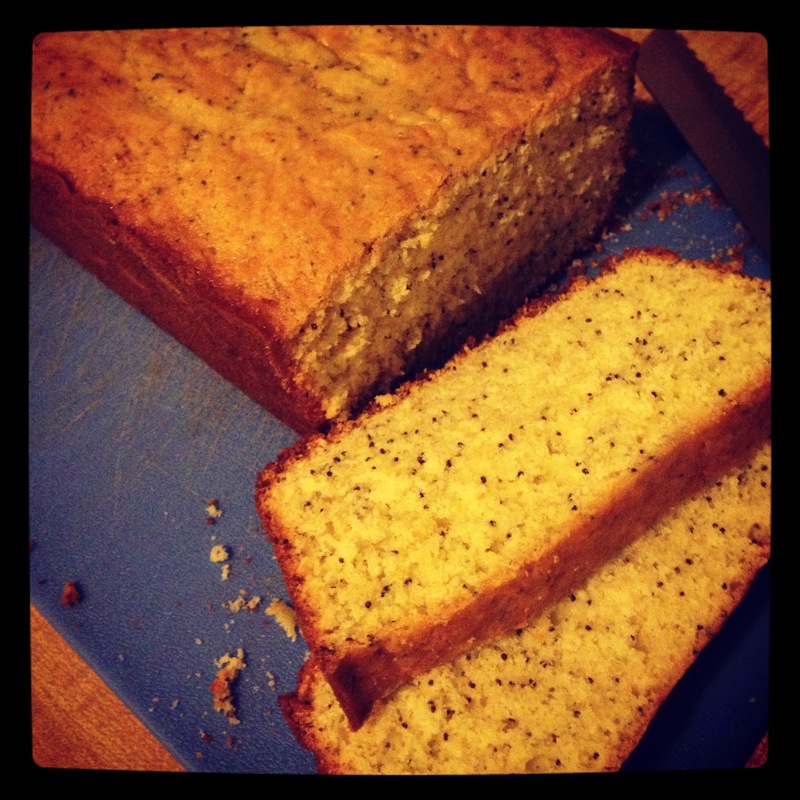 Don’t miss out on lemon poppy seed’s younger, hipper, more delicious cousin! This entry was posted in recipes and tagged baked goods, muffin recipe, muffins, orange poppy seed muffin recipe, orange poppy seed muffins, recipes. Bookmark the permalink.